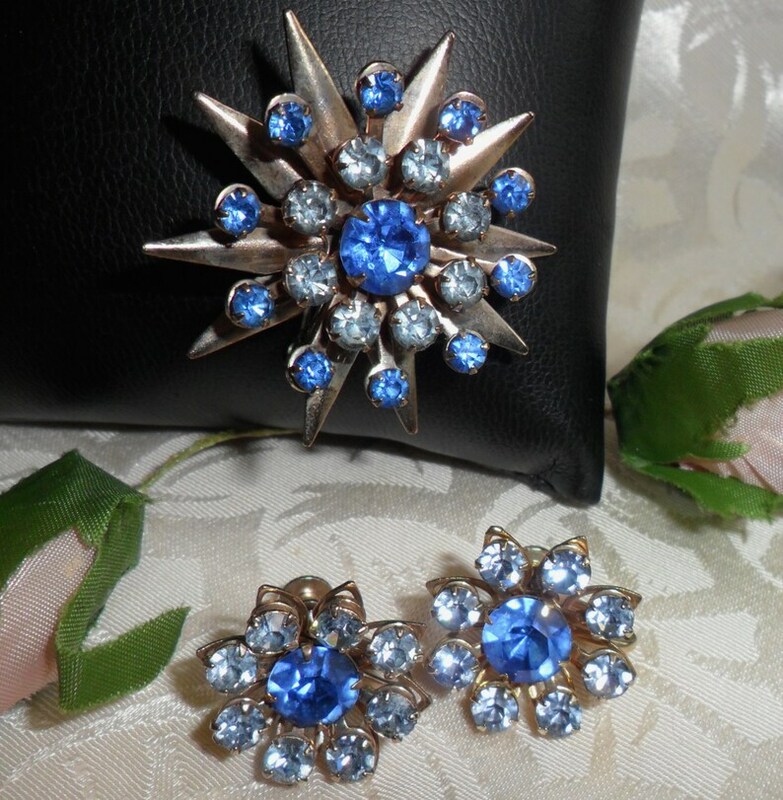 This beautiful set is in excellent condition - Ready to wear! 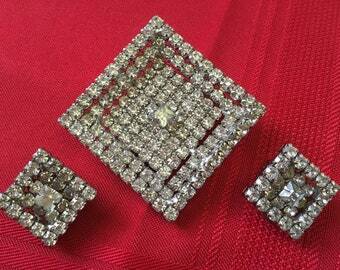 Stunning Vintage Clear Rhinestones Large Brooch Pin and Matching Earrings Demi Parure Set 1950s 1960s Shimmering Diamonte Jewelry Gorgeous! 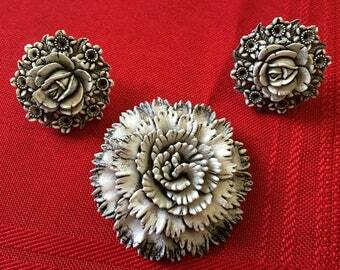 Vintage Black & White Flowers Roses Large Brooch Pin and Matching Earrings Demi Parure Set Roses Flowers 1960s Jewelry Gorgeous! Vintage Sterling Silver Oval Earrings Navajo Concho Malachite Jade Green Cabochon Signed LO Stunning!